The being that God calls the “Great Dragon,” “the Serpent,” “the Devil,” and “Satan” (Rev. 12:9, 20:2) is one of the spirit beings known as “angels” (messengers) that He created before He created mankind (Job 38:6 and 7). 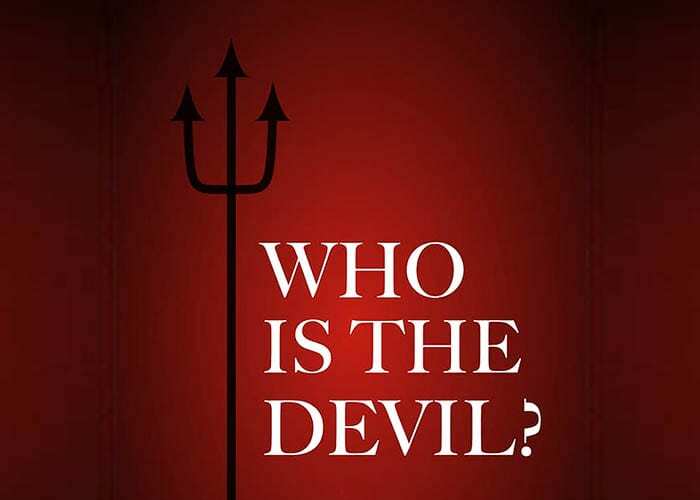 The Devil was originally known as “Lucifer,” which means “light bearer” or “morning star,” and the typological description of him in Ezekiel 28:12ff shows that he was one of God’s most high-ranking angels until his pride caused him to rebel against God and attempt to usurp His throne. For that he lost his position in God’s heavenly hierarchy. Luke 4:6 shows that when Adam disobeyed God, he legally transferred to Satan the dominion God had given him on earth. That is why 1 John 5:19 says that the Devil is exerting the dominating influence on earth today, and is the one responsible for death (Heb. 2:14). Have you noticed that evil is abounding on an indescribable scale? That’s not because too many people “got up on the wrong side of the bed.” No, it is because God’s arch-enemy hates Him, Jesus, and all humanity, and, fueled by the knowledge that his miserable existence will one day go up in smoke, is totally committed to wreaking as much havoc on people as he possibly can. As such a powerful and crafty being, he is the Master Counterfeiter, and only those who know the truth of God’s Word can recognize his methods. He is the expert at making evil look like good and darkness look like light (2 Cor. 11:14). The wicked Pharisees who killed Jesus illustrated how Satan works in religious systems to enslave people. He is the author and founder of every false systematizing of error (Eph. 4:14) and he despises those who follow Jesus Christ as their Lord. Figuratively, and appropriately, called “the serpent” in Genesis 3 (one of his many biblical names), the Devil’s deception of the woman revealed that the primary object of his attack on mankind is to obliterate or obscure the Word of God, for that is what he fears. He also wants to distort the character of God and get people to blame Him for their tragedies. The fact that even most Christians believe that “God is in control,” and is thus ultimately responsible for what happens, shows that the Devil has done an excellent job of doing exactly that. In Genesis 3:15, God simultaneously made a birth announcement and pronounced a death sentence. He proclaimed that a human male would be born of a woman, and he declared that this man would one day destroy the Serpent. In fact, the Lord Jesus is now functioning as God’s right-hand man (Phil. 2:8–11), having taken the place of Lucifer in that position. For that reason, Satan hates Jesus, and tells every lie he can to diminish and discredit him. In the future, as per Isaiah 13:6, 9, 14:3, 12–15 and Revelation 12:7–10, on “the Day of the Lord,” that is, when Jesus Christ comes back to the earth to set up his Millennial Kingdom, the Devil will be cast down from heaven to the earth and imprisoned for 1000 years. After that he will be burned in the Lake of Fire and “brought to ashes” (Ezek. 28:18).